Thousands of DePuy hip replacement lawsuits have been filed by individuals who allegedly suffered serious complications associated with a metal-on-metal version of the Pinnacle Hip Replacement System, as well as the ASR XL Acetabular System total hip. While DePuy Orthpaedics has settled the majority of ASR cases, most of the Pinnacle hip lawsuits remain to be litigated. Bernstein Liebhard LLP is representing hundreds of patients who were allegedly harmed by DePuy hip replacements. If you experienced premature failure of an all-metal Pinnacle or ASR hip implant, call (888) 994-5118 to learn more about your possible legal options. 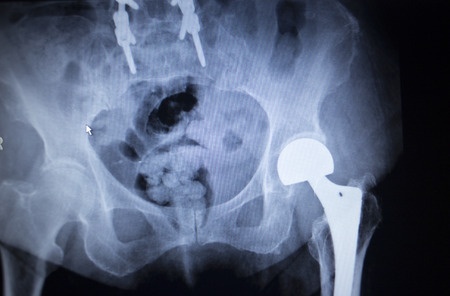 DePuy Pinnacle Hip Replacements: What’s the Problem? Thousands of lawsuits have been filed over a version of the DePuy Pinnacle Hip Replacement that incorporates a metal Ultamet liner. Brought to market in in 2005, the all-metal Pinnacle was approved via the U.S. Food and Drug Administration’s (FDA) 510(k) process, which allows a product to bypass clinical human testing in order to receive market clearance. According to DePuy hip replacement lawsuits, the FDA has received 1,300 adverse reports about the metal-on-metal implant. In May 2013, Johnson & Johnson and DePuy Orthopaedics announced that they would cease the sale of metal-on-metal hip implants, including the device involved in Pinnacle hip lawsuits. The DePuy ASR hip recall was issued in August 2010, after data indicated that 12% of the metal-on-meal hips would fail within just five years of implantation. However, internal documents from Johnson & Johnson put the four-year failure rate near 37%, while data from an Australian hip registry found that the seven-year failure rate was closer to 44%. Bernstein Liebhard LLP offers free, no-obligation legal reviews to individuals who suffered serious complications related to the premature failure of a DePuy hip replacement. To learn more, please call (888) 994-5118.